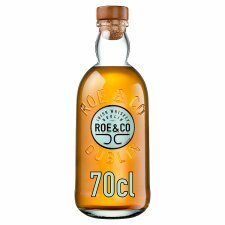 Roe & Co is a new premium blended Irish whiskey, named in honour of George Roe, a true pioneer of Irish whiskey. 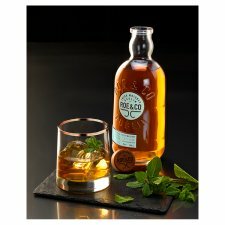 With the signature smoothness of Irish whiskey and with remarkable depth of flavour, Roe & Co is a masterful blend of rich malt and the smoothest of grain whiskies aged in 100% bourbon casks. The high proportion of first-fill casks gives notes of creamy vanilla balanced with its hints of fruit and soft spice and a remarkable depth for such an elegant and refined whiskey. Roe & Co is made from the finest hand-selected stocks of Irish malt and grain whiskies, 100% of which is aged in Bourbon casks with a high proportion of first fill barrels.